Short Startup Description: We are market leaders in developing mobility solutions for all sized business. 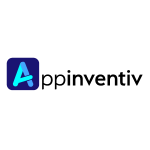 Short Startup Description: Appinventiv is one of the top mobile app development companies with expertise at developing highly-innovative Android, iOS, Wearable, IoT and Chatbot apps for clients worldwide. 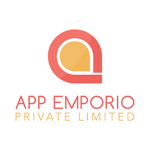 It has 200+ adept professionals who have experience of delivering exquisite apps at affordable rates to businesses from different industries, including Restaurant, Finance, Healthcare, Real Estate, Education, etc. Appinventiv is a well-known firm for providing high-end, business-oriented web and mobile app development solutions across the globe. It has established its name in the app market with more than 230 top-grossing applications in the app stores and is leading mobile application development company on AppFutura. The company has served various brands, start-ups, individuals as well as well-established agencies in terms of Android app development, iPhone app development, iPad app development, Wearable app development, IoT app development, iBeacon app development, and Chatbot app development. It has a team of 250+ app designers, developers, testers and business strategies who are adept and hold great experience in building top-class applications with a wider array of functionalities. The team is innovative, has a sound knowledge of market needs and employs the ‘state-of-the-art’ technologies so as to provide futuristic-approach solutions. The app developers at Appinventiv have created apps for various industries like healthcare, m-commerce, education, real estate, news, on-demand, social network, enterprise, restaurant, finance, entertainment and travel industry to name a few. The Appinventiv’s team of Android and iOS app developers believes in experimenting with new technologies and features and so, delivers innovatively amazing applications to clients. And this way, contribute to the client’s business growth and productivity. To know more about the company or find its spectacular work, check the portfolio now! Short Startup Description: Appinventiv is one of the top-notch app development company with headquarter in Noida (India) and a branch office in Dubai. Since its inception, it has delivered 350+ ‘top-grossing’ applications to clients globally and has set a new benchmark in the app market with its innovations and services. Appkodes brand from hitasoft provides the best clone scripts along with customization works, which helps every eCommerce business people to stand out from the huge similar ecommerce websites crowd. With their well grounded development skill and support services,an eCommerce owner can get the apt online shopping cart website.eCommerce solution provider branded by Hitasoft Technology Solutions. Core into eCommerce web and mobile app development. CEO, Founder and Co founders Details: Mr. Arun Andiselvam, Co founder and CEO at Appkodes (owned by Hitasoft Technologies pvt Ltd). He is a well versed PHP developer and his initial clone product success has inspired him to start a web and mobile development company to sync the business thoughts of entrepreneurs and startups with a profitable action. 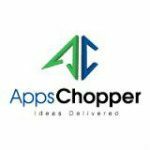 Short Startup Description: AppsChopper is the best mobile app development company. AppsChopper is a leading mobile app development company in world. 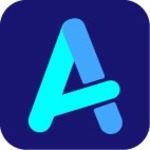 You may find numerous app development service providers in your local areas but I recommend you to hire AppsChopper as this company is globally entrusted for providing the best-in-class web & mobile app development services for cross-platform & responsive apps based on iOS, IoT, Android, Wearable, Augment Reality, & responsive web. Short Startup Description: ARKA Softwares is one of the most recognized mobile app & web development companies in the USA, UK, India and Australia due to its creativeness and state-of-the-art quality services. ARKA Softwares has achieved a great many numbers of satisfied clients by providing dynamic and outstanding software solutions across the country and all over the globe. We understand the financial barriers and after a detailed go-through of client’s vision and recommendation presents an initial blueprint of the project. Our profound team of highly experienced developers dedicatedly put their efforts to convert your vision into reality with high-performance immaculate products. The world of technology is rapidly changing and thus we strive to be a step ahead by providing impeccable social media marketing solutions with a scope to add new features in the future. The dazzling list of our clientele speaks for our quality and experience that include big technology business magante, industrial behemoths, and several StartUps. Short Startup Description: After being in job for about 20 Years, I wanted to create opportunities for younger generations and empower them with my knowledge in the field of Call Centre and Software Development. We have just started, focus is to work on latest technologies and create opportunities for Indian young achievers to blossom ahead. Short Startup Description: BR Softech is a Website & Mobile Application Development company established in 2010. Our Team is expertise includes using various technology for website design and Development, Mobile Application Development. BR Softech is a Website & Mobile Application Development company established in 2010. Our Team is expertise includes using various technology for website design and Development, Mobile Application Development.Our Company Dedicated Application Developers are able to create your Idea in Reality by Providing the latest development and design services in Windows platforms, Android and iOS. CEO, Founder and Co founders Details: Nitin Kumar Garg is the founder & CEO of BR Softech Pvt Ltd. Our Company Dedicated Application Developers are able to create your Idea in Reality by Providing the latest development and design services in Windows platforms, Android and iOS.